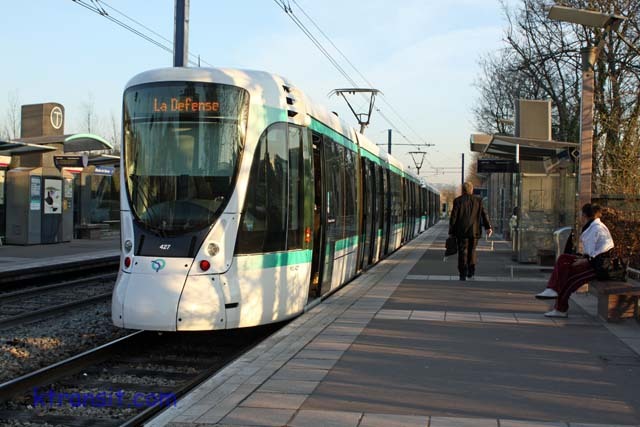 Paris's second new Tram line. It opened in 1997. This line replaced a former marginal electrified commuter line. The right-of-way was rebuilt for the trams. Some of the old station houses still exist, but are no longer used. T2 is the southwestern edge of the city following the along The Seine linking La Defense with RER Line C at Issy. There is an extension under construction at Issy to Porte de Versailles to allow T2 trams to meet T3 trams, it should open in 2009.